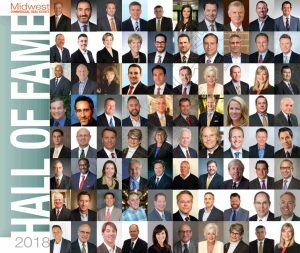 Each year, Midwest Real Estate News Magazine runs its Commercial Real Estate Hall of Fame issue which highlights the careers of the industry’s most successful professionals. This year Greg Coulter, founder and managing member of IPO, has been honored by being inducted into the 2018 CRE Hall of Fame. This accolade follows the recent distinction, also from Midwest Real Estate News, designating IPO as one of the “Best of the Best” brokers for 2018.